It sure didn’t take long for Wzor to get the recently released private beta of Windows 7 SP1 out in the public. The latest leak – from Russia, with Love – packs both Windows 7 Service Pack 1 beta and Windows Server 2008 R2 Service Pack 1 beta into one package for you to download. The leaked build 7601.16562.100603-1800 is the same which was released to testers two days ago (though there is noÂ guaranteeÂ that it wasn’t tampered with). here are the build details from Wzor. NOTE: Wave0: English, French, German, Japanese, Spanish. 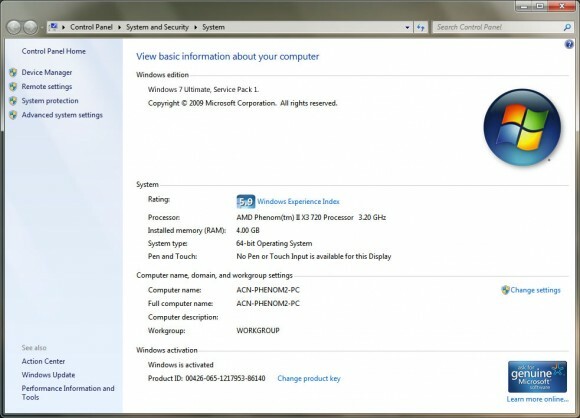 According to Wzor, the Windows 7 SP1 Beta download ISO contains three different packages based on platforms. There is the Windows 7 SP1 Beta for x86, Windows 7 SP1 and Windows Server 2008 R2 SP1 for x64, and Windows Server 2008 R2 SP1 for iA-64. The official Windows 7 SP1 beta would be released for public download towards the end of July, until then if you want to trust a potentially modified build, then that’s your call. And remember, Google is your best friend. Ran 16 queries in 0.153 seconds.